The South African passport: aptly nicknamed "The Green Mamba"
Beneficio Crew? Stamping out? Transit letters? Dock walking on a tourist visa? It’s no secret that South African yachties of the past came to France on tourist visas, walked the docks, found work on board, overstayed their 90-day welcome and (somehow) got away with it. Nowadays, life’s a little harder as internal immigration agencies crack down on the issuing of visas and borders become more tightly controlled and better informed. One only has to read a few Facebook forums to understand that applying for yachting visas has become a huge problem for South African seafarers, who haven’t come to grips with the time, cost or legalities involved in staying on the right side of the law. The inconvenient truth is that no one really knows how this whole system works. Some are afraid to ask and others are too lazy to care. Professional advice is often contradictory or outdated and online forums are filled with misinformed know-it-alls. One thing is for certain: it is a priority for South African seafarers to ensure their visas are in order, especially if they plan on making any long-term commitment to Europe and its luxury yachting industry. Let me start off by saying this: my own experience has turned me into the world’s biggest skeptic when it comes to Schengen visas. It takes a real master to handle a serpent as vicious as the Green Mamba (a nickname for our beloved South African Passport). I have spent hundreds of hours reading up on Schengen visas and visiting specialists on the topic. I’ve been told one thing and then learned the complete opposite was true. If I had to take a dart-throw at it, I would guess I’ve spent around R40,000 a year on visas. Still — that makes me no expert in the field of immigration law; far from it. Even this article may leave you with more questions than answers. As far as I see it, the immigration world is an intricately woven matrix of fine-tuned laws and political players. Immigration law is a collision of constantly changing intra- and inter-national laws, individual nationalities, yacht flag states, maritime authorities, maritime law, the list is endless. This makes it almost impossible for the layman to navigate. If you’re seeking advice in a Facebook forum, chances are you’ll come out completely empty-handed or totally misinformed. One or the other. At the end of the day, immigration is no joke. It takes time and it costs money to find legal and long-lasting visa solutions. Make the effort and do the research. At the very least, it’s worth trying to get it right. For the purposes of yachting visas, the industry is most governed by short-stay (Type C) and long-stay (Type D) visas. Short-stay (Type C) visas are issued on a single-entry, double-entry or multiple-entry basis. Depending on your situation — including the duration and reason for your stay — there are a number of different visas that fall within the Schengen long-stay (Type D) category. It’s important to know that each candidate’s situation should be evaluated on a case-by-case basis and by taking advice from someone who knows what they’re doing. 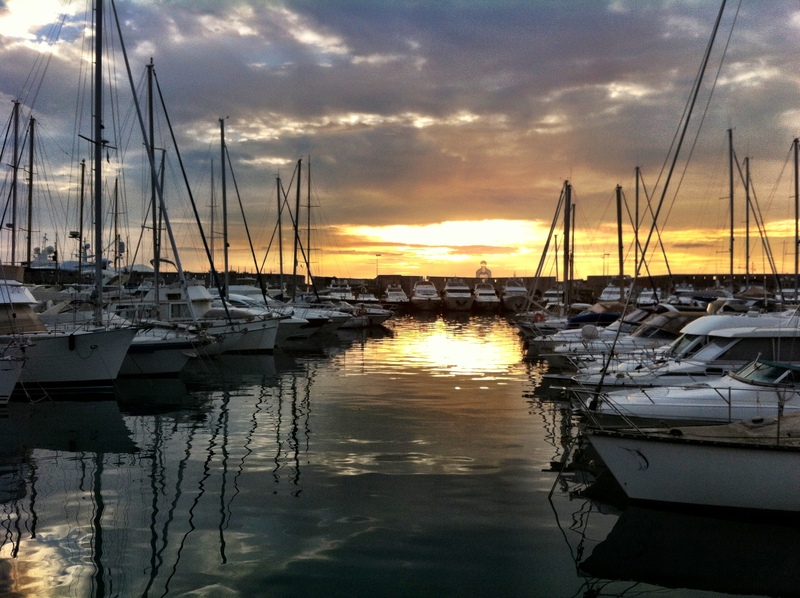 You’ll quickly learn that there’s no one size fits all when it comes to yachting visas. What worked for me, might not work for you and visa versa. There is one thing you need to know about the short-stay (Type C) tourist visa: don’t ever apply for it if you’re interested in joining the super yachting industry. The tourist visa is exactly that — a visa for visitors to Schengen territories. People who enter on this visa need to be out of the Schengen area within 90-days or when the visa expires — whichever date comes first. Tourist visas that have a much later expiry date apply the principle of 90-days in and 90-days out the Schengen area while the visa is valid. Additionally, you are not allowed to look for or accept work on this visa. In reality, this is loosely applied by the French authorities who typically leave dock walkers alone. On paper however, dock-walking remains illegal on a tourist visa. If you are caught, you are red-handed. The sad fact is that South African yachties still come over on this visa and find themselves stuck in France, backed into a corner, holding the wrong visa in hand. That’s when it gets tricky and expensive. Those who come over on this visa and find work are best off returning to the place in which their tourist visa was originally issued and reapplying for the correct seafarer visas. There has been discussion about flying to Turkey/Croatia to apply for seafarer visas however this remains unconfirmed. And somehow it doesn’t seem worth the schlepp. Some shipping agents might argue that it is possible to “stamp out” of your tourist visa at French immigration and they will organise this for you at a steep fee; but be aware that this won’t be tolerated by the French visa-issuing authorities in South Africa when you apply for your next visa. Remember too that while the bigger boats are more likely to have management companies, shipping agents and pursers sorting out all the visa hoo-ha for their crew, smaller boat crew are often left to organise this on their own, usually with smaller budgets and less legal support. Know what to say to a captain when he asks you these things in an interview. A final word of advice: those who come over on this visa must return home before the visa expires or when their 90-days are up. It is never worth over-staying. Finished and klaar. Better luck next time. The short-stay (Type C) seaman visa is issued to South Africans who are currently employed on a vessel not registered in France that is cruising French waters for a period equal to or less than 90-days in every 180-days. This visa is valid for 1-5 years, depending on the crew contract. A topic that’s hotly contested with the 90-day stay is the idea of “pausing” or “stamping out” on short-stay visas. Some shipping agents agree to stamp crew members out of the Schengen zone once they come onto a boat’s crew list and in effect pause their 90-day visa. At the end of the season or contract, the crew member is stamped back into the Schengen zone and the crew member picks up where they left off on their 90-days. This has worked well for the commercial cruise-liner industry but it’s unsure how well this applies to the luxury yachting industry with its constantly changing cruising itineraries. When it comes to the embassies however, time spent at sea or time spent on board in port — even if recorded in the seaman’s log book — does not put a stop to or pause the 90-days granted on this or any other short-stay Schengen visa to France. As a rule of thumb, a Type C visa cannot be changed, renewed or extended from within the Schengen territory. This needs to be done at an embassy outside of the Schengen zone (i.e. Miami, or South Africa) and applied for in person. The long-stay (Type D) seaman visa is issued to South Africans who are currently employed on a vessel that is not registered in France but that will be more than 90-days in a row in the Schengen states. I would argue it’s the better Schengen to get. Holders of this long-stay visa marked “CESEDA R.311-3” will need to declare their arrival in France and make a visit to the French Immigration and Integration Office (OFII) within two months of their arrival. Here you will be taken for a medical and brief interview with the French authorities. 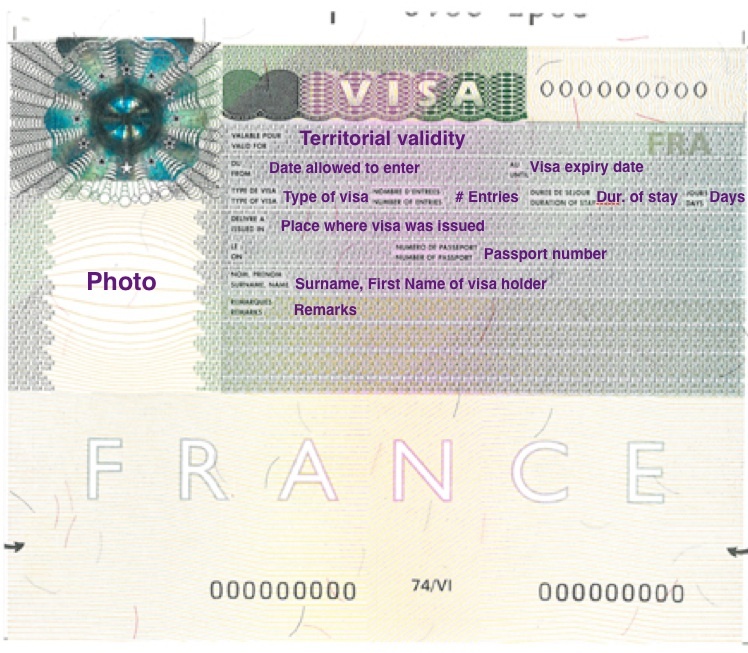 If all is in order, you are granted what is called a Carte de Sejour Visiteur visa — one of the very many long-stay (Type D) visas available for foreigners in France. This visa can be renewed annually in France, provided all paperwork is in order and there is no change in the applicant’s situation. The visa renewal process should begin three months before the visa is due to expire. The good news about this visa is that it places you within the French system from the get go. Initially, it’s a hassle to get but in the long run it will save you time and money. Although your rights are initially limited (you will not be permitted to work ashore, be a French tax-payer etc.) it does put your foot in the door if you plan on settling in France at a later point. The documents that are needed to apply for this visa on the South African side are also available from the Capago website. The choice is yours and the buck stops with you. Looking back on my spiel with Schengen visas, I’d advise you one thing: do your research. Don’t accept one person’s word as gospel. Learn, question and figure it out for yourself. It’s one long, expensive, time-taking thing that is worth it. For further queries with visas in France, you can also contact The Swedish African directly and I will put you in touch with the specialists who helped me along the way. Please note that this article in no way represents the views or opinions of any embassy, consulate, visa-issuing authority, governmental spokesperson or state-owned entity in any country whatsoever. By reading this article and understanding its contents, you agree to undertake your own research and approach advisors and agencies who are skilled in this area of immigration. The Swedish African nor it representatives are liable for any indirect, incidental, economic, special, punitive, nor consequential damages that might occur as a result of this article or its contents. 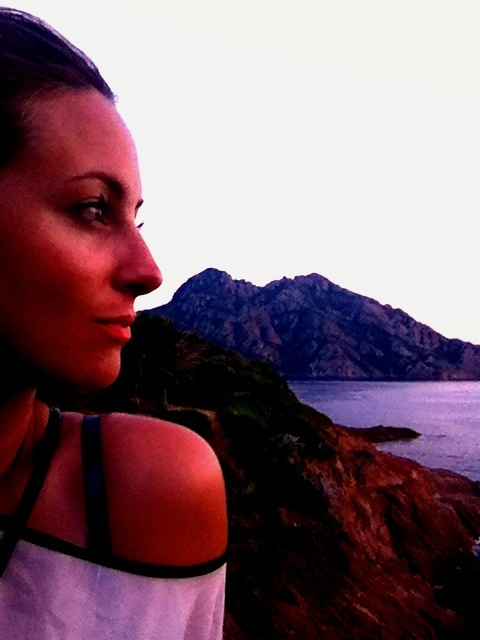 Posted in FRANCE, GREEN MAMBA, LIVING ABROAD, SOUTH AFRICA, TRAVEL, YACHTING. Bookmark the permalink. As a fresh “greenie” this was exactly the kind of info I was hoping to find. So glad I stumbled across your excellent blog! Thanks Tenth Serpent. You realise a Green Mamba is a serpent too? Good luck on your journey. Wow Bianca! This is a very informative article! So glad I waited for you to post it. Going into my first season I’m researching all possible avenues for myself to explore on getting visas done right, the first time, every time. Having my B1/B2 already and looking for work from SA still would it be beneficial to me to apply for a Beneficio Crew Visa before I go overseas? As I mention in this article, forums and comments on blogs are often the worst places for information and can lead people astray. As a result, I have stopped commenting on Facebook/blogs with any advice I have as it can be misleading. The rules change so often and are so specific to your situation that it’s best to deal with these things one-on-one. Mob: +31 (0)6 31 799 256 who took care of me every step of the way. You pay about R8400 for a 1 year visa up to 10 years of course more money. They are partnered with the Dutch embassy so getting your visa through them is guaranteed. If you are denied you will be refunded the total amount back. In the end it may be your best option as many people are denied going in it by themselves. To confirm your views: The bonifacio crew visa still has the same problem with the 90 days in 6 months scenerio, regardless of the number of years the visa is valid for? Therefore if you were going to spend more than the 90 days in 6months you would need to be stamped out by an agent whilst working on a yacht in the Schengen states? Please thank you very much because this information is very important to some of us. Sorry do what kind of visas do i need to dock walk in st.marteen and st.lucia? Please refer to my comment to Zan above. Please i did all my certificates and then contacted beneficio crew visa agents but they said i cant get a visa since am not a South African, i just want to go to the shipyards in palma such that i can buid my engineering skills and then go to the next level of my Y4,Y3,Y2 and Y1 certificates, please advise me what to do, i came to south africa to do my deckhand course, and also AEC but am now stuck because of the visa.